A PV solar panel, referred to in the industry as a solar module, is constructed by connecting photovoltaic cells (or PV cells) to produce electricity. The cells are a semiconductor-based technology that converts solar radiation into direct current (DC) electricity. How does shade affect the performance of a PV solar system? One of the leading causes of power loss in a solar PV system is when part of the panel or array becomes shaded. In a panel there will usually be either 60 or 72 cells connected together. Each cell produces a certain voltage and amperage. The cells are configured and connected in a combination of series and parallel connections to produce the correct amount of power. If any individual cells performance is degraded by shade, the performance of the entire panel will fall to a point relative to the worst performing cell. Likewise, in a string of panels, the entire string suffers performance reduction to that of the lowest performing panel. A solar installation should be designed in a way such that none of the panels are even partly shaded at any point of the day. How much room does a PV system need? A typical solar panel of 230 Watts will measure about 39″ x 66″. Once our engineering department has determined the required angle, shading factors, etc. for your site, we can give you a more accurate number. Do solar panels have to be installed on the roof? Solar panels can be installed on the roof, on the side of a building, on the ground or on a pole. The most cost effective installation will usually be on the ground, but if space or shading conditions prevent the use of the ground we can help you review the other options. 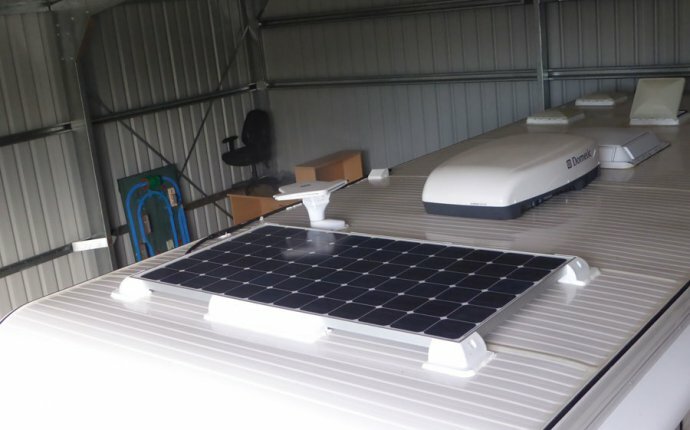 Do installed solar panels have to face a southerly direction? In the USA, facing south at the correct angle of elevation will provide the best performance (most KWh per dollar) however solar panels can also be installed facing towards the east or west as long as proper considerations are made. Solar panels should not ever face north. PV solar panels will generally produce electricity at a reduced rate under cloudy conditions. Severe clouds will interrupt the production of power. Insolation refers to a daily total of direct sunlight. In the solar industry it usually refers to the average daily hours of sunlight equaling 1000 watts per square meter. On average, locations within the USA will get between 4 and 6 hours of insolation per day depending on season and location. How long will a solar panel system last? Solar panels are known to last 40 years or longer. Typical guarantees of a solar panel include five years workmanship and materials warranty and a 20-25 year performance warranty. The typical PV panel performance warranty will guarantee 90% of rated production for 10-15 years, and 80% for 20-25 years. Solar panels are designed to withstand hail, severe wind and weather conditions assuming proper installation. See our SCHOTT warranty for more information. How do I know if a solar PV system is a good choice for me? If you live in an area where the sun shines, electricity is costly, chances are that PV solar panels will make financial sense for you, especially if there are tax credit, rebates or other incentives available. Contact our sales team to get assistance in evaluating your situation.